Need a customization? Please let me know, and I'd be happy to help. 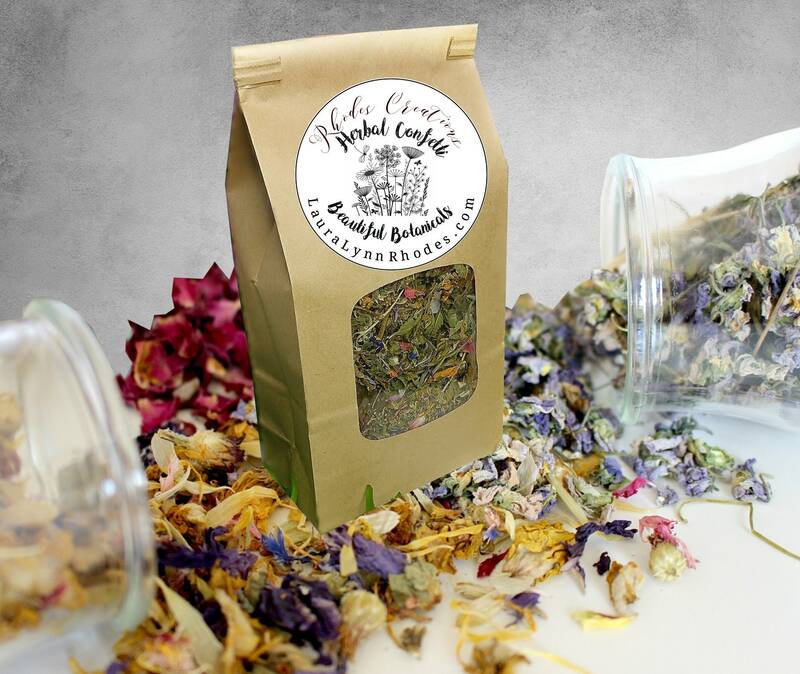 This blend includes a variety of dried herbs and flower blossoms: Such as Beautiful Chamomile blossoms, Lavender buds, Rose buds, cornflower petals and more lovingly blended to use as your heart so desires. It is perfect to freshen up your home with fragrance, color and nature, the ALL Natural way! These dried fragrant herbs and flower blossoms can be made for sachets, decor, craft projects, bridal or shower favors. Ingredients: A mixture of a variety of dried florals and herbs. Packaged in Kraft Window Bag.